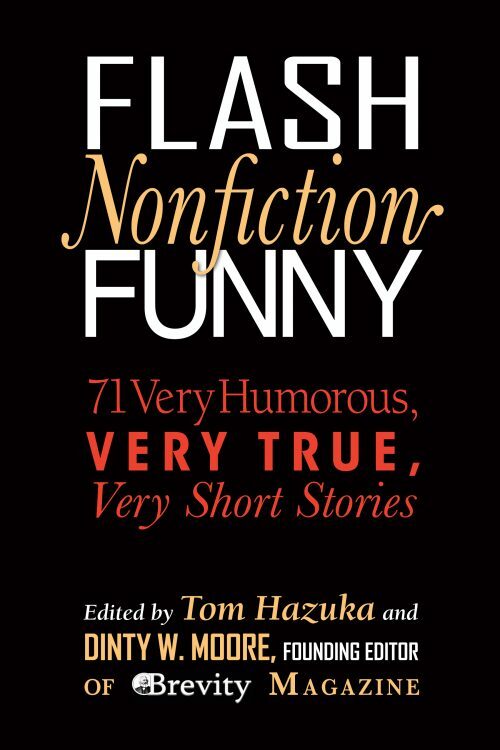 Flash Nonfiction Funny available March 1! Thanks to editors Dinty Moore and Tom Hazuka for including my essay "Open Letter to a Traveling Salesman...," originally published at McSweeney's Internet Tendency, in this fantastically hilarious new anthology! Flash Nonfiction Funny is available for preorder at a bookstore near you. Buy it, read it, gift it, share it! We could all use a few laughs right now. Really honored that my essay "The Remnants of War: A Meditation on Peleliu" was selected as a Notable essay in this year's Best American Travel Writing anthology. Thanks to series editor Jason Wilson for selecting the piece for the finalist pool, and thanks to Longreads for publishing it! 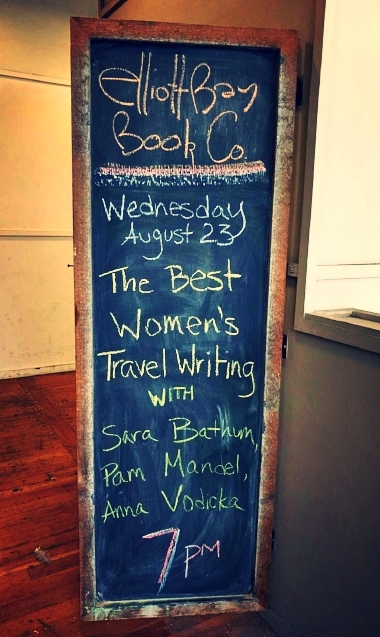 Join me and fellow Seattle writer-adventurers Sara Bathum and Pam Mandel for readings from the Best Women's Travel Writing 2017. I'm thrilled to share the stage with these two superb storytellers--at two of my favorite Seattle bookstore/institutions, no less! "The Living Infinite," my essay about facing fear and bull sharks in Palau, was selected by editor Lavinia Spalding for the Best Women's Travel Writing 2017! I'm beyond honored to share company with so many talented and intrepid women in this anthology. BWTW hits bookstores May 16th, but you can preorder your copy today, and read Lavinia's press release here. News about upcoming reading events to come! Wow--I am thrilled to learn that my essay "The Remnants of War: A Meditation on Peleliu" earned Grand Prize Bronze in this year's Solas Awards for Best Travel Writing. The essay was originally published on Longreads, one of my favorite longform journalism sites, and selected as a Longreads Exclusive essay by editors Julia Wick & Mark Armstrong. The essay will also appear as the Traveler's Tale Editors’ Choice on Monday, March 27th, as well as the feature story on BestTravelWriting.com. Thank you, Traveler's Tales, for this great honor! Back from a February residency at Hedgebrook and I'm still not sure it was real: my own private cabin on Whidbey Island for four whole weeks? The gift of unlimited writing time and "radical hospitality," surrounded by mythic woods and a legacy of "women authoring change"? Evening readings in the library. Wine and Scrabble. Ridiculously fresh, nourishing, tailored-to-our-allergies farmhouse meals (the chefs ask for your comfort foods--cheese, obviously, and pancakes with real maple syrup--and then they make them). My computer crashed on Day 1, but even tech fails couldn't drag me down. I wrote a poem by hand. I went for long runs along Double Bluff Beach and the Deer Lagoon Estuary. I found a book theme song. Best of all, I wrote and wrote and shared company with inspiring women writers and thinkers you should Google and read immediately because these ladies are shakers: Melissa Chadburn, Kimberle Crenshaw, Amber Flame, Carolyn Forché, Kate Gray, Ladee Hubbard, Brionne Janae, Andrea Merkowitz, Ruby Hansen Murray, Joshunda Sanders, Anastacia Tolbert. Fullest gratitude to these gifted writers, the generous Hedgebrook staff, and founder Nancy Nordhoff, for everything.